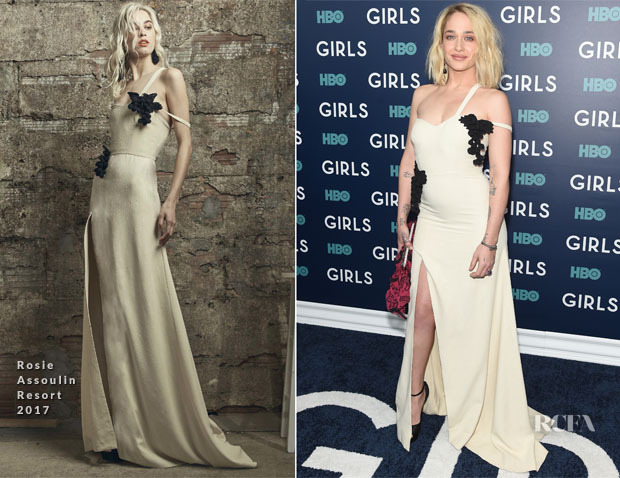 Jemima Kirke attended the New York premiere of the sixth and final season of ‘Girls’ on Thursday (February 2). I really like the juxtaposition Jemima’s grungy edge paired with this beautiful black grape accented Rosie Assoulin Resort 2017 gown. It’s something which Courtney Love was able to marry in her hay day. However, I am totally perplexed by the red print clutch. It feels so out of place.